Sunday, 18 January, 2009 – Nick. 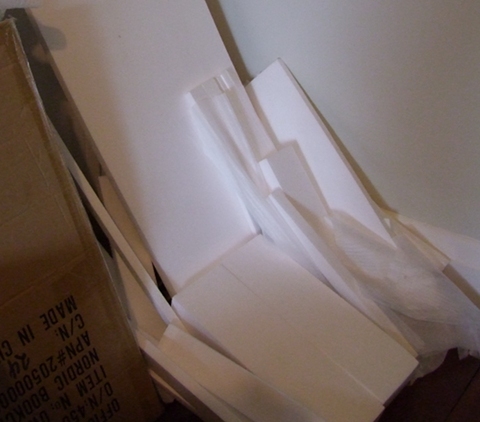 Buying furniture for the study means that I have all this packing foam lying around, and I really want to do something with it other than just throw it away. I figured that I’d cut and glue pieces together to make a general shape, and then use that as the basis for a paper-mache model which would look more organic and soft. Something like an urban vinyl toy, but more… rustic I guess… and even more “limited edition”. Foam robots! Both exhibition pieces and hobby projects. A bunch of useful tips from Associated Content. Hot-wire cutting gear from specialty stores and local hobby shops. So I may be able to get an organic look by rounding the foam itself… but I’d kinda like to make a few models all the same shape, but with different paint-jobs… so paper-mache may still be the way to go. Author NickPosted on Sunday, 18 January, 2009 Tuesday, 10 February, 2009 Categories GeneralLeave a comment on Foam opportunities abound! I think it’s about time to upgrade my computer. 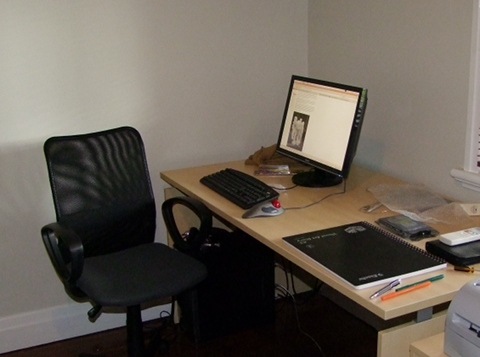 The last time I upgraded (aside from getting a new monitor) was over six years ago. The system is fine for general web-browsing and productivity work, but pretty slow for development.